The Airport Towing Story – Call (424) 231-4762 Now! Airports are big places with a lot of hustling, bustling people in a rush to pick up their loved ones or get to their flight. And, as happens with any place that there’s a lot of cars, a lot of cars break down. Some are involved in accidents. Some simply don’t start up. There’s a neverending possibility that at some point, you might need some LAX Towing help. That’s where we comes in! We service LAX specifically, because we know that when you’re at the Los Angeles International Airport, that you’re likely going to be looking to get somewhere quickly and without having to worry. Well, we not only promises to have the best response times to assist you with your personal roadside assistance or towing need, but we also promise to have the best prices as well! That means that when you’re on your way to pick up your aunt from the airport, or your uncle, or your cousin, or your brother, or are even on the way to the airport, that we will be there for you. Our 24/7 available towing service is there to help you with every flight, every car breakdown, and every accident that you may have at the airport. That’s why we provide towing; we know that it’s not the easiest thing to get ahold of and we want to make sure that you are able to still get to your flight or your loved one with minimal costs and minimal waiting time. LAX will always perform the top-notch service that we provide because we know that when you’re doing towing, in the middle of the hustle and bustle that we have to deal with daily, you need the experience and the care to help the customers more than you need any drive to steal people’s money. 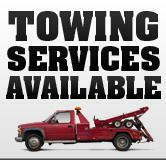 RV Towing Service all Los Angeles area. And we can do much, much more! So at this point, you’re probably wondering what we can do for you. If you’re anywhere in the 90045 zip code area, in or around LAX, we can reach you with an airport towing service for the best prices, and quickly! See the map below for more information, or just call (424) 231-4762 at any time!